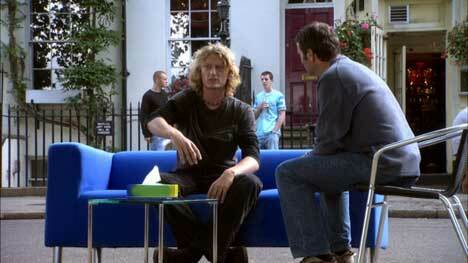 Kleenex, the tissue manufactured by Kimberly Clark, is being promoted in a campaign called “Let It Out”, centred around a blue couch and a song by band Starrfadu. Television advertisements lead to a web site, www.letitout.com, in which viewers are encouraged to express themselves. “It’s time to let it out. It’s time to laugh until you cry, scream until you spit. Show your heart and show some tears. Sing at the top of your lungs. Jump for joy. And when tons of stuff stuffs up your nose, blow it loud and blow it proud. It’s time to let it out.”. The ads are shown in flash format on the UK and North America versions of the site. A radio campaign starts on January 15 on London’s Heart 106.2 FM and Dublin Q102 and run for three months. Every day, between 2pm and 3pm, listeners will be invited to phone in or e-mail the DJ to describe their ‘Let It Out’ moment and which song embodies that moment. The ‘Let It Out’ campaign was developed at JWT, New York, by executive creative director Walt Connelly, art director Jim Carroll, copywriter Richie Glickman, agency producer Alexander Strohm, with account manager Tamara Holland-Martin (JWT London). Filming was directed by Brett Morgen via Independent Films. Editing and post production was done at Mad River Post. Kleenex commissioned a three month study of more than 2,500 people by the Social Issues Research Centre, Oxford. 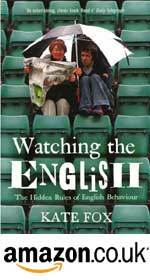 Kate Fox, director of the SIRC, is known for her 2005 book “Watching the English”. “Let it out” was composed by Austin Hartley, and recorded on the Starrfadu album “A Narrow Road to Silence”. Starrfadu is Brian Moody (drums), Dave Martin (bass) and Austin Hartley (vocals and guitar). Starrfadu are based in Springfield, Missouri. For more details see the official Starrfadu web site and Starrfadu MySpace site. Do you want to lay your head on my shoulder?